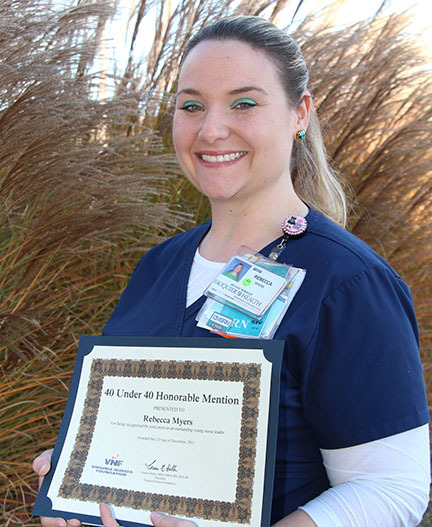 Rebecca Myers, nurse care manager at Fauquier Health Rehabilitation & Nursing Center, said she has always had a passion for nursing. It shows. 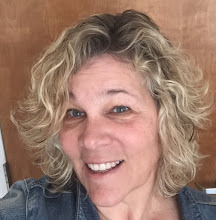 Rebecca also is an adjunct teacher on the nursing faculty at Shenandoah University. On November 21, she was honored with a 40 Under 40 award from the Virginia Nurses Association for her leadership and positive impact on nursing. Forty nurses under 40 years old were chosen. As a nurse care manager at FHRNC, Rebecca manages residents’ care plans, helps with staff education, and acts as an advocate for residents. Although she has enjoyed working in acute care facilities, she says she treasures the long-term relationships she is able to develop with residents.